H3N2: If you've had it, you know how bad it can be. If you don't, you've heard about it and are afraid. Very afraid. We're talking about the flu, specifically this flu season's dominant strain. Others are taking about the flu as well. Physicians at Ronald Reagan UCLA Medical Center and UCLA Medical Center, Santa Monica, have been featured in the media, and sought by patients and the public for advice on flu care and prevention—and for good reason. The Centers for Disease Control and Prevention reports that flu activity is widespread across the country. 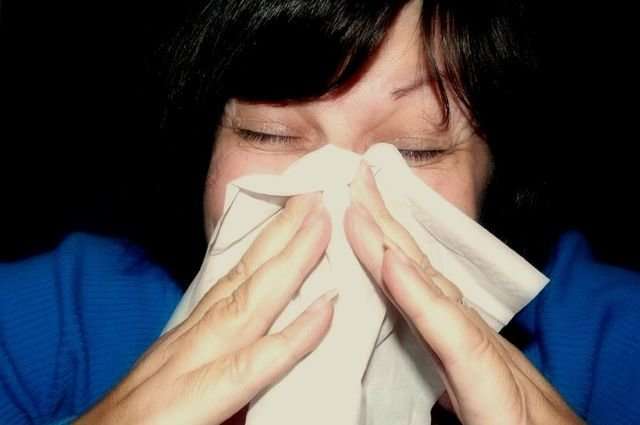 The California Department of Public Health has announced that flu activity in California is at levels that are usually only seen at the peak of flu season. And the Los Angeles County Department of Public Health has reported 36 confirmed flu deaths this year in the county alone; last year at this time, the toll was 13. Amid the alarming reports, dire headlines and, of course, sneezes and coughs, one refrain is emerging: This year's flu vaccine isn't very effective. While that's true, it's the wrong take-home message, says Dr. Deborah Lehman, an infectious diseases specialist and a professor of clinical pediatrics in the David Geffen School of Medicine at UCLA. "When people hear the vaccine isn't that effective, they assume there's no point in getting it—and that's very frustrating," she says. "The vaccine may not completely prevent the flu. But it does help the body launch an immune response." That's no small thing—and science backs her up. "Studies have shown that vaccines prevent against serious illness and death. That's really important," Lehman says. "Even if it doesn't provide full protection, the vaccine may provide some partial protection." Lehman bluntly acknowledges that this vaccine may not be as effective against the H3N2 strain as against other strains, as many people can attest. That's why when this strain surges, doctors' offices and emergency rooms fill up, even as schools and workplaces begin to empty. But Lehman also suggests that the public's expectations may be too high, fueled as they are by the knowledge that other vaccines are so effective. The pediatric vaccine against measles, for example, is almost 100 percent effective after two doses. "True, the current flu vaccine is not a great vaccine," Lehman says. "But it's a good vaccine—and it's better than no vaccine." Even the not-so-great vaccine will let most flu sufferers escape with only a fever, cough and a lousy feeling for several days or more. But people who provide care for children, the elderly and people with compromised immune systems need to pay special attention to the flu's impact, Lehman says. Dehydration is the primary concern, because it can exacerbate or launch a cascade of negative health effects and make it harder for a body to defend itself. If children, the elderly and immunocompromised people don't get enough fluids—or if they can't keep food and drink down—they need more help than a parent or other caregiver can provide. Respiratory difficulties, such as difficulty breathing or breathing very fast, are also clues additional medical attention is needed. For children, mental status is another key indicator of a potentially serious problem. If a child is increasingly irritable or unusually sleepy, they need immediate medical care, Lehman says. Those who haven't succumbed to the flu don't need to abandon hope. Dr. Joseph Ladapo, an associate professor of medicine in the division of general internal medicine and health services research at the David Geffen School of Medicine at UCLA, has been spreading the word about flu prevention. In media interviews, such as a recent one with the consumer review website Consumer Affairs, he has offered practical advice that everyone can manage. Give zinc a try, but don't overdo it. And ... wait for it ... get the vaccine. "[F]or some patients, the flu vaccine actually can decrease their risk of death," Ladapo told the site. "We have seen randomized trials of patients with heart disease, which show that getting the flu vaccine reduces their risk of having a heart attack or other cardiac event. Amazingly, the flu vaccine in these patients can be almost as effective for preventing cardiac events as taking a statin." Still not convinced? Check out the CDC's weekly flu activity map. As of mid-January, every state—repeat: every state—reports widespread flu activity. If you're going to get the flu—and you may still—it's better to reduce your risk of serious illness and death if at all possible.